Gumballs.net - A Gumball Superstore! 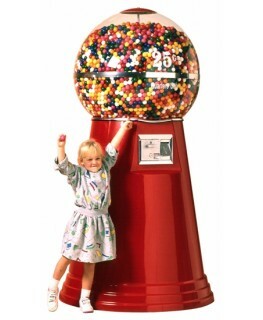 ChicletsHome Machine Gumballs850 ct. Gumballs - Approx. 1"1430 ct. Gumballs - Approx. 7/8"1080 ct. Gumballs - Approx. 15/16"900 ct. Gumballs - Approx. 31/32"700 ct. Gumballs - Approx. 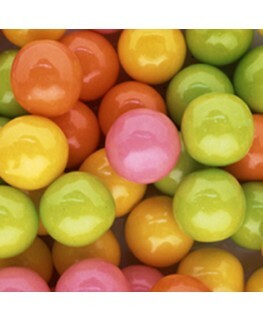 1-1/8"600 ct. Gumballs - Approx. 1-3/16"138 ct. Gumballs - Approx. 2"
850 ct. Gumballs - Approx. 1"
1430 ct. Gumballs - Approx. 7/8"
1080 ct. Gumballs - Approx. 15/16"
900 ct. Gumballs - Approx. 31/32"
700 ct. Gumballs - Approx. 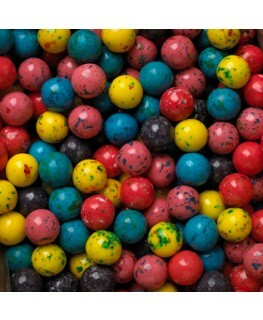 1-1/8"
600 ct. Gumballs - Approx. 1-3/16"
138 ct. Gumballs - Approx. 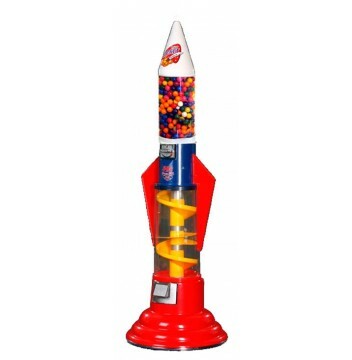 2"
This rocket is ready to launch gumballs and your own cool business. 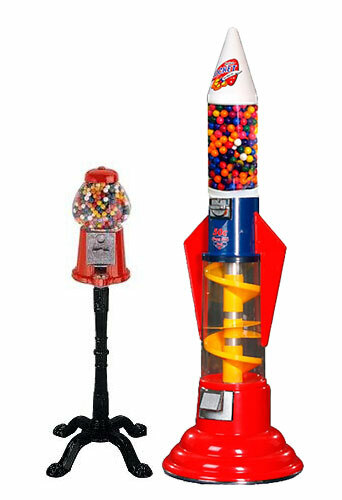 The eye-catching rocket design and mesmerizing gumball spiral dispensing with reverse spin action will have your clients coming back again and again to dispense their favorite gumballs. The Spiral Rocket is a 5' 8" tall, attention grabbing vending machine that will help you realize increased sales. Items dispensed will spin one direction and then using a unique reverse spin action where it changes direction. Welcome to Gumballs.net! We’ve been in business since 1992, we have a 64,000 sq. ft. warehouse for manufacturing and supply. We are an American Manufacturer of Gumball Machines (including our famous RoadRunner Spiral Gumball Machine) and Arcade Games featuring Winner Every Time gameplay and Instant Prize Redemption. 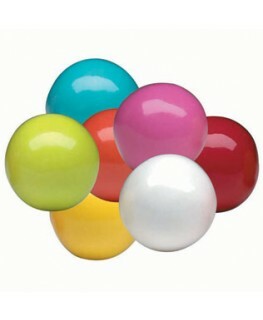 We are also a leading source for Gumballs, Prize Kits, Plush, Superballs and more. Please feel free to look around or call us at 801.893.1336.